Get insights, ideas and inspiration for your meetings and events from an international panel of speakers including Kevin Jackson (“the most influential person in the UK events industry”), PJ Kenny (General Manager at The Hoxton), Hugo Arnold (Author & Food Consultant) and Dave Meade (“one of Europe's most dynamic, engaging, and sought after keynote speakers”). The Event of the Future takes place on Thursday, 20 July from 2pm, culminating with a festival-style party. Ruairí Boyce, our executive chef, will cook from our new Stadium Street Food menu while the U2 crew takes over the Stadium in preparation for the live performance of The Joshua Tree. 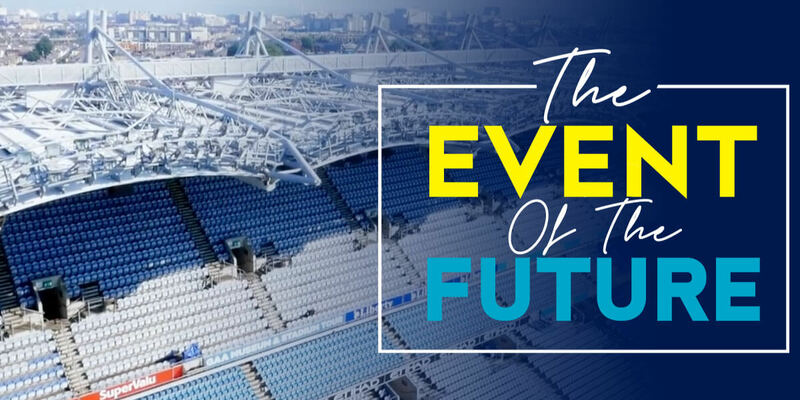 This’ll be a once-in-a-lifetime behind the scenes experience of Croke Park Meetings & Events and how we’re truly geared for the Event of the Future.